For the past year, Rocksteady ATL, the only roots reggae event held regularly in the entire city of Atlanta, has been celebrated on the first Sunday of each month at Downtown Atlanta's The Sound Table, located on Edgewood Avenue. Now the festivities will be moving to a bigger venue on a new night � Fridays, the night of the week perhaps most synonymous with going out and having a good time. The new venue is Studio No. 7, at 393 Marietta Street in Atlanta, Georgia 30313. 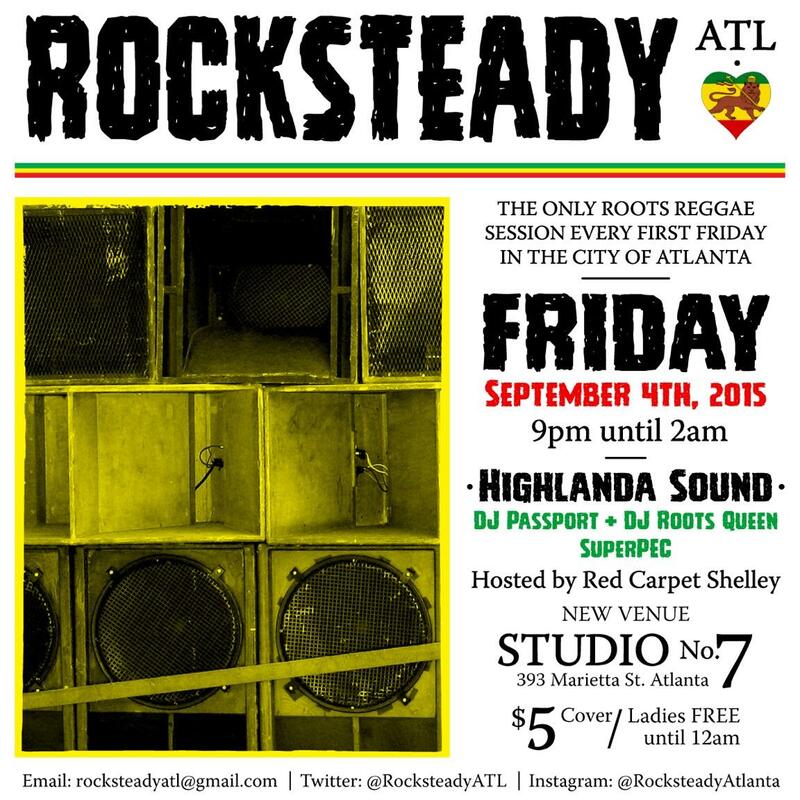 Rocksteady ATL will henceforth be held on the first Friday of each month, with the inaugural show hosted by Red Carpet Shelley at Studio No 7, booked for Friday September 4th, starting at 9pm and ending at 2am. Popular acts Highlanda Sound, DJ Passport, DJ Roots Queen and SuperPEC have already signed on for the event's re-launch at the new venue. In its first incarnation, Rocksteady ATL rapidly developed a strong reputation as a unique old-school reggae soiree powered by some of the best reggae roots acts in the South. At the new and bigger venue, guests will continue to enjoy world-class mixology along with critically acclaimed music in the same unique tradition that nightlife enthusiasts simply can't find at any other spot in the city.